6 world-renowned race-tracks across 5 states in 7 months, the Lexus Performance Driving School isn’t for the faint of heart. 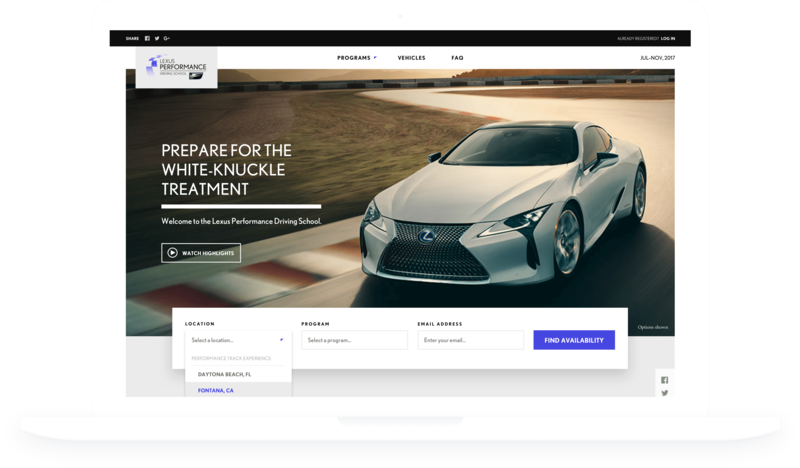 To complement this thrilling and unparalleled experience, Lexus needed a registration site and payment portal for attendees to enroll in the program and select their race venue. The Expedition Co. rose to the challenge, and we're proud to have delivered a world-class product for such an iconic brand. 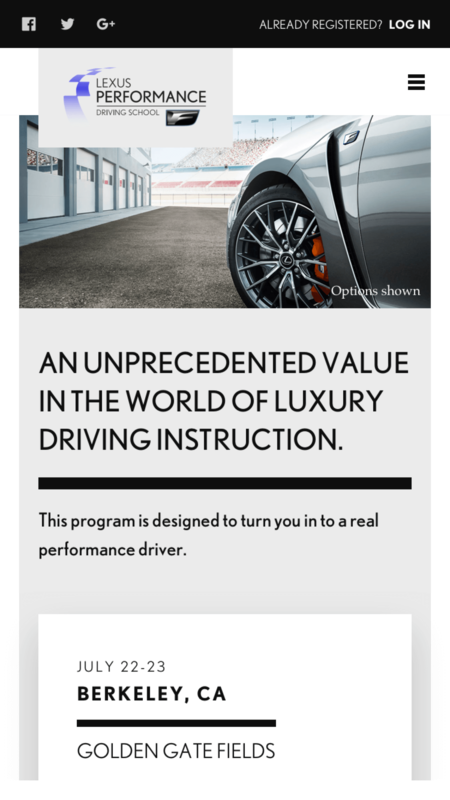 Design an intuitive and simple website with aesthetics of luxury, elegance, and power—qualities synonymous with Lexus's brand. 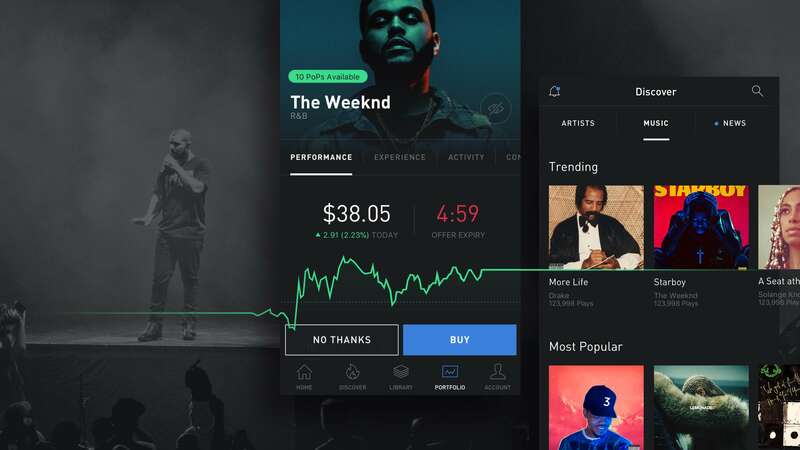 Users on the website should feel the excitement of the racetrack, the rush that comes from being behind the wheel of a performance luxury car. To determine how the program is produced in the coming years, the Lexus team needed to know who is visiting the site, what cars draw the most interest, and what information visitors find most helpful. The Expedition Co. built analytics into the site to give the Lexus team the information and insight they need to make informed decisions about the frequency of future events, what types of cars to make available, and what registration tiers to offer, which are all subject to change. 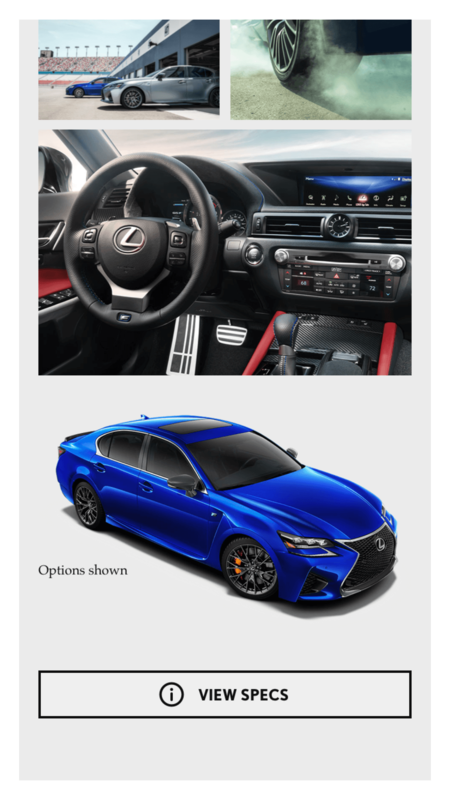 The average person doesn't know the difference in horsepower between the Lexus RC F and LC 500, but visitors to the Lexus Performance Driving School website do. 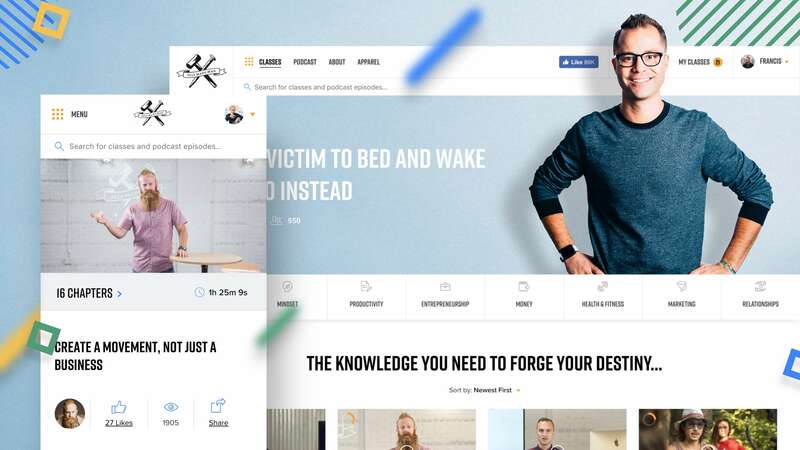 To respect their interest and excitement in Lexus Performance Racing, we built a site with lean UX—not saturated with over-hyped marketing lingo and extra fluff—to give them what they want without boring them with minutiae.